Heavy showers overnight left the towpaths puddled for my morning run, but the biggest hazard was the geese. They’re nesting, and getting very aggressive towards trespassers. 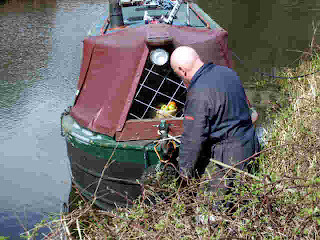 Before we left, we were asked by the chap at Bronte Boats if we needed anything, solid fuel, diesel, pump-out etc. Carol was OK and we’d had a coal delivery yesterday, but I decided to get diesel as we don’t know where the next opportunity will be. Their facility is a little further up the canal, with the BW sanitary station, so after a quick trip for supplies, we were on the mooring at 11:00. The tank took 87 Lt at a reasonable 70p/Lt, which is about what I expected. 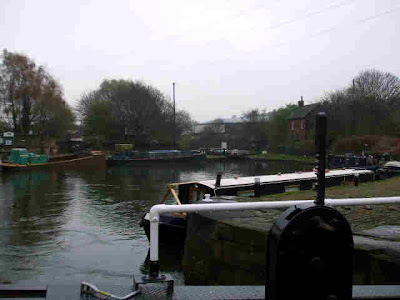 After filling with water and emptying loos, it was nearly 12:00 before we got into the first lock of the day, the unfortunately named Black Pit Lock. 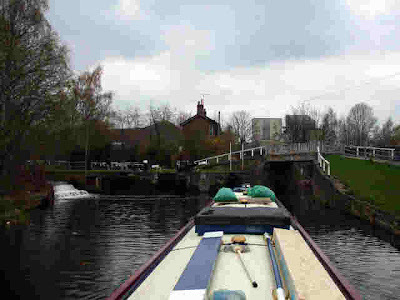 A 10 minute cruise and we arrived at Stubbing Lower Lock, immediately followed by the upper lock. 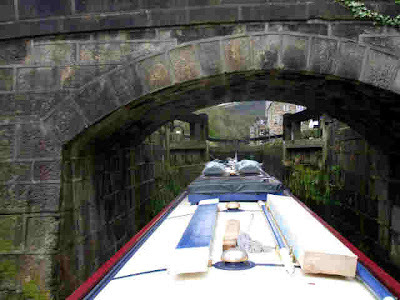 Stubbing Lower Lock climbing out of Hebden Bridge. 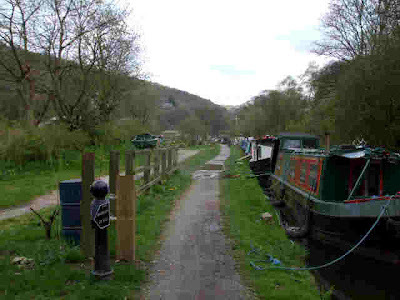 The canal is squeezed between the steep hillside to the south and the river to the north. It must have been difficult to construct. 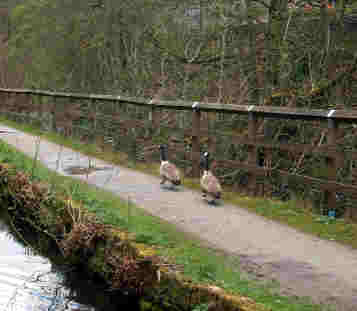 A couple of Canada Geese patrol the towpath. 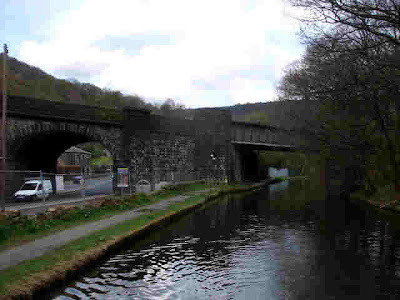 A little further on we passed under Whiteley Arches, near the scene of a railway disaster in 1912. The locomotive and carriages of the 14:25 Manchester to Leeds express left the tracks on a curve, and rolled down the steep embankment. 4 people lost their lives, and 20 were injured. A couple of contemporary pictures here, and here. At Rawden, between Rawden Mill Lock and Callis Lock, an impromptu boat “village” has sprung up, with craft of all shapes and sizes, and mini allotments alongside the towpath. We stopped in Callis Lock for a spot of lunch. If it’s quiet, it’s easiest just to sit side by side in a lock, rather than pull out and tie up. We’d move, of course, if another boat came along. Reg the cat decided to investigate Seyella’s roof for a change of scenery. We moved on, the locks getting closer together as we climbed the valley. 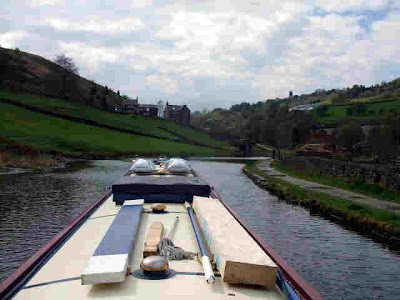 We stopped for the day at the bottom of Old Royd Lock, at 15:30, after another fine dry day. The rain came on in earnest this evening, though. 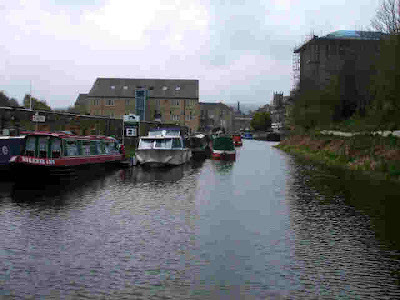 We just had a short cruise today, to Hebden Bridge. The weather was supposed to turn showery by lunchtime, so we decided to have a light day. As it turned out, it stayed fine and sunny till late afternoon. It’s very attractive along this stretch as the canal continues to follow the valley of the River Calder. 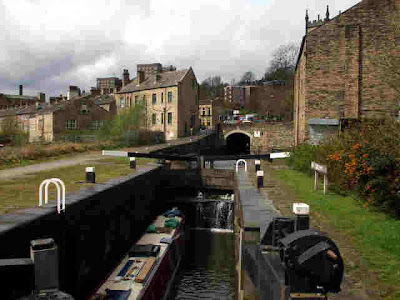 The locks, although heavy, are in good condition. 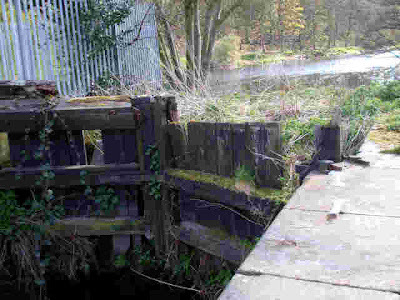 The framework in the left foreground is to support the top of the gates against the weight of the water when the lock is full. These are quite common on deep locks. Mytholmroyd is one of the towns that clings to the steep valley sides. I like these mill towns, their dour, no-nonsense appearance generally belies the friendliness of the inhabitants. And the names roll beautifully off the tongue. Mytholmroyd, Heckmondwyke, Heptonstall…..
I’m not sure about this local, though, spotted on the edge of the town at Broadbottom Lock. Falling Royd Bridge (another fine name..) has an identity crisis. At over 100 yards long and with a bend in the middle, it’s more a tunnel. 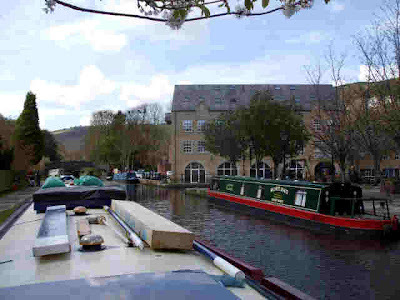 Passing rows of moored boats brought us into Hebden Bridge at 13:30. 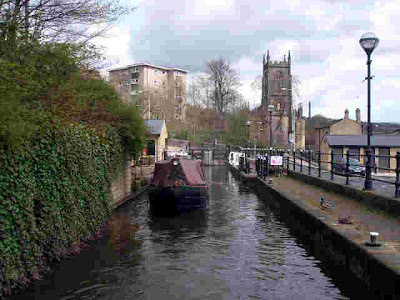 We moored opposite Bronte Boats hire base, just about in the middle of the town. We’ll only stop overnight, though. It’s a pleasant town, but mooring in built up areas is not our “thing”. 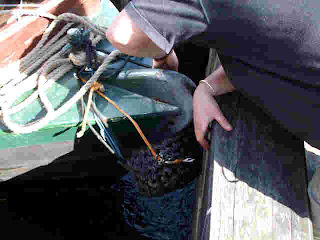 We were able to top up with solid fuel from a local coal merchant this afternoon, delivered to the boat. Fish and chips for tea from the chippy and grocery shopping in the morning, so it has it’s compensations. Saturday we spent the afternoon working on Corbiere, after the morning rain cleared up. It turned out beautiful, warm and sunny. Yesterday we moved back down to the junction, turned around and went to the end of the Halifax Arm (just ¼ mile), turned around again and moored to meet Mags’ sister Dot. She, husband John and son Paul duly arrived, laden with mail, books and food, and we had a pleasant afternoon catching up with the news. 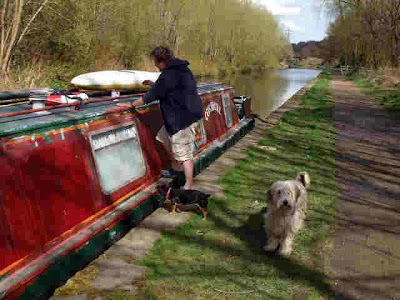 After they left we moved back to the mooring next to Carol. Today was a typical April day, showers and sunny spells. 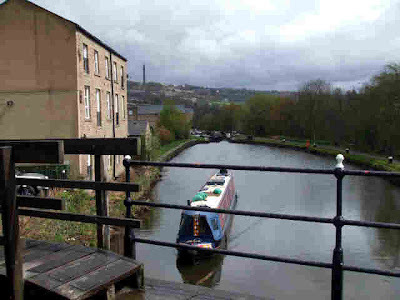 We were away at 11:00, and covered the last couple of miles of the Calder and Hebble, arriving at Sowerby Bridge at 11:50. Onto the Rochdale Canal. Only 32 miles (and 92 locks!) to go to Castlefield. Carol neededed diesel and a gas bottle, so pulled into the basin to Shire Cruisers base while I left Mags on the boat and bought oil and filters for an engine service. 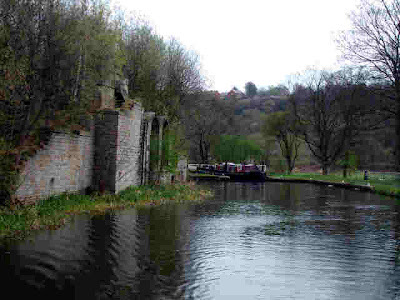 Then we set off up the first 2 locks on this canal. One of the major obstacles to the restoration of the Rochdale was the loss of locks 3 and 4 under a new road and a carpark. 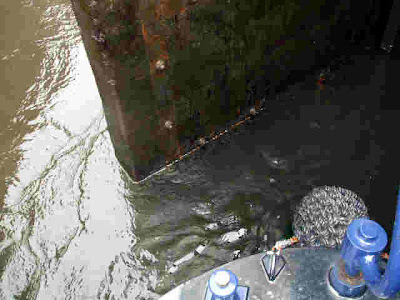 This was overcome by driving a tunnel under the road and building a new double-depth lock at the far end. 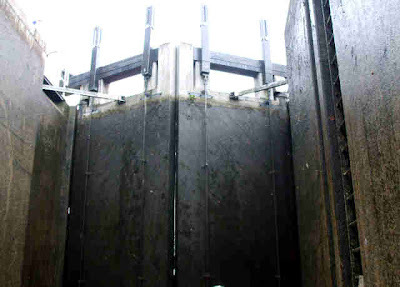 The lock (and tunnel) are keeper controlled to avoid accidents and manage the water levels effectively. 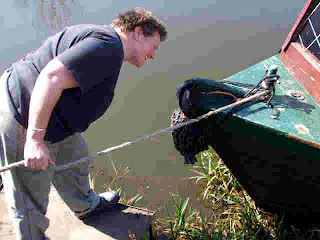 As we exited Lock 2 to wait for the lock to be ready we ran aground half out of the lock, so I went up to tell the lockie we needed a drop more water in the pound before we could proceed. He obliged, and 20 minutes later we were in the lock, at 19’8½” the deepest lock on the inland waterways. He brought us up gently, and in 15 minutes we were on our way again, having climbed nearly 40 feet up from the junction in ¼ mile. 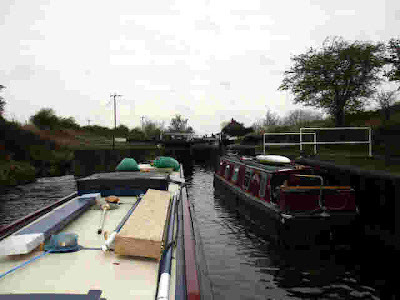 A steady couple of miles further on and we arrived at lock 5, Edward Kilner Lock, and pulled over for the night. The showers we’d had through the day cleared by 18:00, leaving a fine sunny evening. 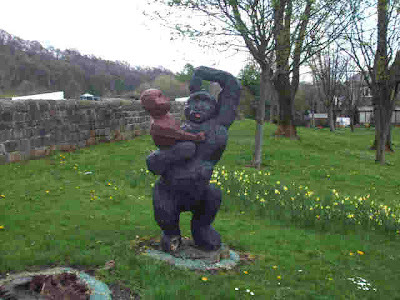 Carol spotted a young family at Sowerby Bridge. 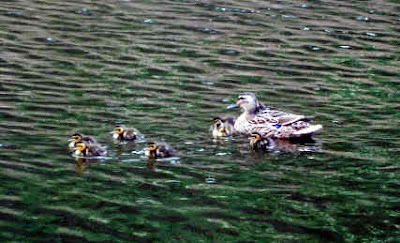 There are 8 ducklings, 2 are on mum’s other side. Mills, Locks and a Guillotine…. Happy birthday to my sister Kay! ** years old today. Lots of love. 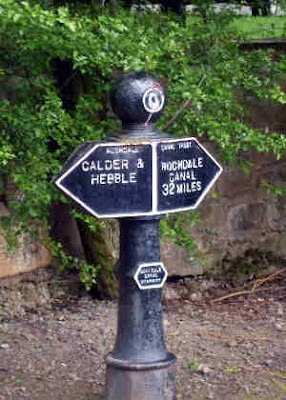 Today we moved from Cromwell Bottom up to Salterhebble. We took advantage of a fine day yesterday to work on Corbiere, but today’s forecast was for damp weather and it was not wrong. We got away around 10 as usual, and got to Park Nook Lock soon afterwards. This is this first of the seven locks we did today, in a run of just 3 miles. 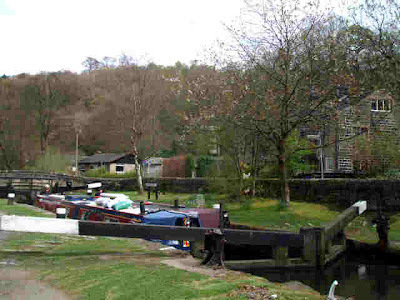 As the Calder valley steepens, so the locks get closer together. 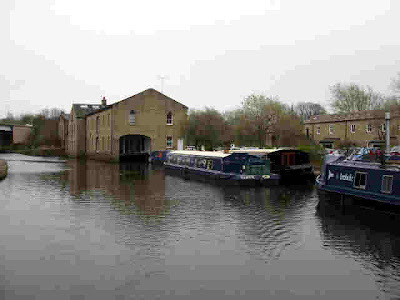 The basin at Elland is now used for long term mooring, with the warehouse converted to apartments. It’s a pleasant section of canal, with the river never far away on the left, but also with the road occasionally making it’s presence felt up above the navigation on the right. There are quite a few mill buildings in the valley, built to make use of the river. Some are derelict, and some have been converted to apartments or for light industry. This one at Woodside Mill Lock (Woodside Mill, maybe?) is one of the former, the upper floors collapsed into the lower. It was obviously quite an imposing building though. 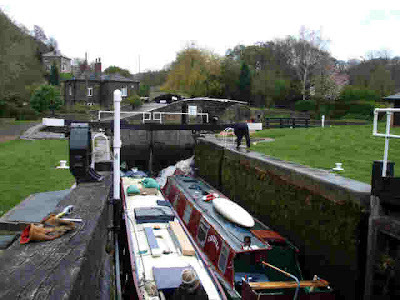 One more lock took us to Salterhebble, and the picturesque flight of 3 locks that are the last on the canal in this direction. 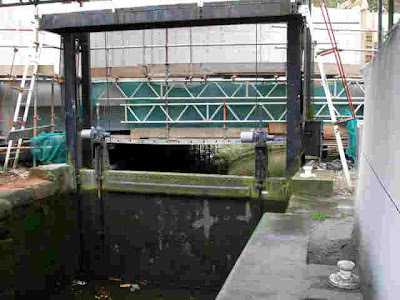 The bottom lock has a guillotine lower gate, installed in the ‘30s after the road above was widened. 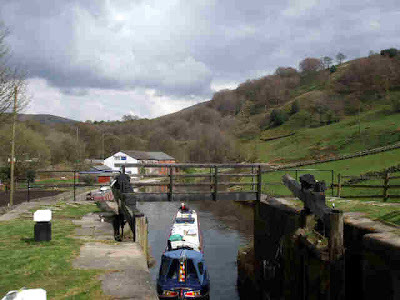 Salterhebble Bottom Lock, with Guillotine gate closed…. 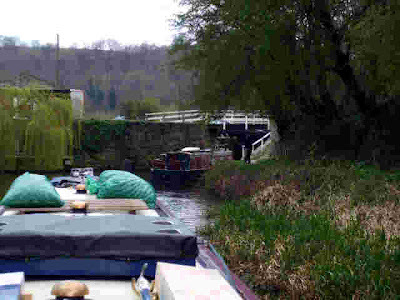 A sharp turn left at the T junction above the locks, another 100 yards, and we stopped on the moorings just past the railway bridge. We’ll stay here for the weekend. 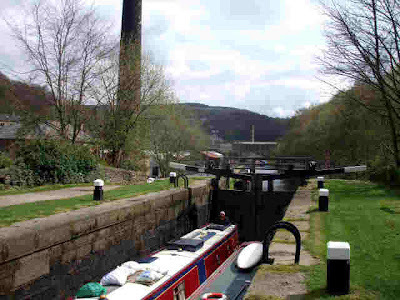 If you turn right at the T junction you are on a short stub of the Halifax Arm, which used to run the 2 miles to the town centre, through 14 locks lifting the canal about 100 feet. 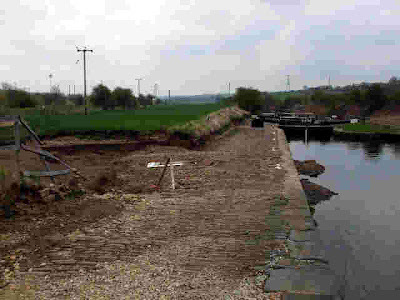 All that remains now is this ¼ mile section, terminating at the old Salterhebble wharf, which has been restored for moorings. The remainder of the line has been filled and surfaced, providing an attractive walking or cycling route to Halifax. We’ve spent the day working on Corbiere, but I took a few minutes out to take pictures of the weed hatch as promised yesterday. Carol busy, the dogs look on. 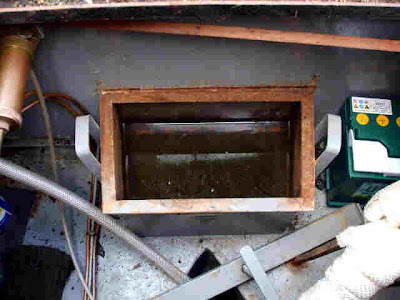 The weed hatch, or more appropriately named plastic bag, bits of rope and fishing line, and the odd duvet hatch, allows access to the prop from above for declogging. 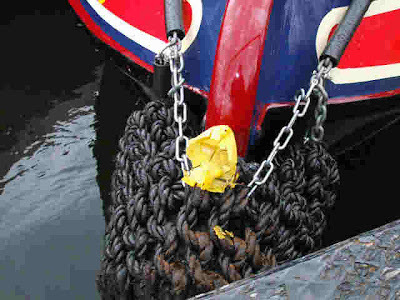 A removable cover is clamped above a box structure over the prop, attached to this is another plate which prevents water spraying up, and completes the shape of the uxter, or swim plate, which makes the prop efficient. Which fits in this hole. 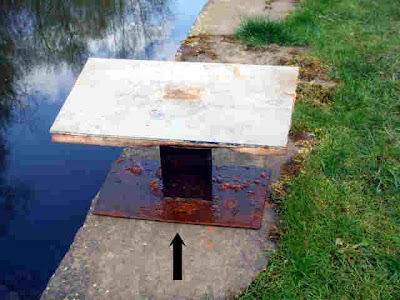 The rusty plate at the bottom is the bit permanently under water, directly over the prop. This is the area that has caused the noise. The near edge of the lower plate (arrowed) has been touching the inside of the box structure in the stern, vibrating in harmony with the prop rotation at certain revs and transmitting the noise into the hull. It has now been modified (with an angle grinder! ), and is now about ⅜ of an inch clear of the box. I’ve also removed a corner that may have been in contact. You’ll have to wait till tomorrow to find out if it’s been a successful modification, or if it’s back to the drawing board. While researching the vocabulary to make sure of the names, I came across this site. 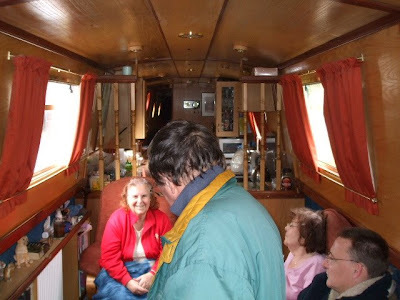 It gives a rare insight into how a modern narrowboat is constructed, from the ground up. The bits I’ve been talking about come under the stern build gallery. Before I get another shin kicking - the photo I posted yesterday of Carol inspecting the ongoing repair on Corbiere's stem was not very flattering. She was wearing a baggy T shirt which makes her look rather dumpy, which is not the case. The camera angle, looking down, doesn't help, either. A fine St Georges Day, Corbiere gets a nose job and Seyella (almost) stops whining. The forecast for yesterday was fine, so we stayed at Kirklees Top Lock for the day to get some more work done on Corbiere’s paint job. We’re nearly ready to put some new on, after spending several weeks taking old off! I also had another idea about the prop shaft noise I’ve been trying to get rid of for what seems like ages. I’ve pretty well exhausted the options for the shaft itself, and have eliminated the gearbox as a source, so where else to look? Well, the weed hatch sits directly above the prop, and the sound is like a high frequency vibration, so could something be fretting in this area. On investigation I noticed that the cavitation plate on the bottom of the hatch cover (I’ll post some pictures tomorrow for those who haven’t a clue what I’m talking about) had been touching the inside of the box, and could have been vibrating at certain revs, transmitting the noise to the hull. So I ground about ⅛ of an inch off the edge and reassembled the hatch. On today’s trip the noise is significantly reduced, and the rev range at which it is apparent is also narrower, so I think we’re on the right track. This evening I’ve taken another ½ inch or so off and also a bit off one of the corners, which should ensure clearance all round. Here’s hoping! The day started murky, grey and damp, but was looking to be improving by late morning so we were off at 11:00. 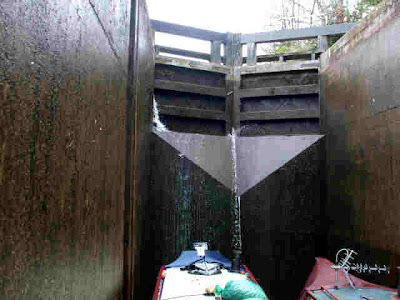 Through Anchor Pit Flood Lock and we were on the last river stretch of the navigation. 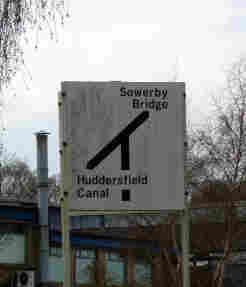 The rest of the way to Sowerby Bridge is in artificial cuts. 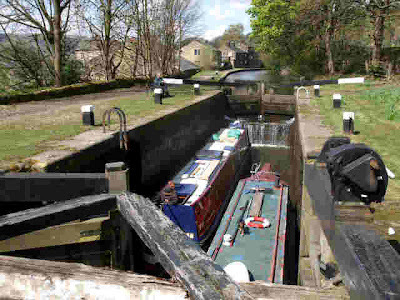 This section ends at Brighouse Bottom Lock, and the basin presents a busy scene as you work up this, and the top, lock. We filled with water, emptied what needed to be emptied, had a quick visit to Sainsburys conveniently located right alongside the canal then pushed on to and through Ganny Lock. This lock is on BW’s improvement list, and does it need it! The gates leak badly, are very heavy, and one of the lower gate paddles is hanging off, making it unusable and preventing the gate from opening fully. This is the exception, though. 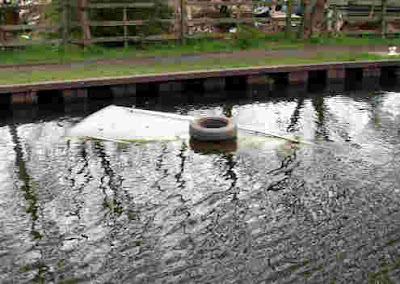 We’ve found most of the gear on this canal in reasonably good condition. Carol had made an appointment with the chap at Tayberg Steel Boats to inspect the damage caused to Corbiere’s stem when she hit the lock wall at Keadby. So we arrived expecting the usual sucking of teeth, tutting, and “Can’t do it this week”, followed by a big quote. But no, the man said he could do it right away, will take about 1½ hours and the quote was very reasonable, so he got on with the job. 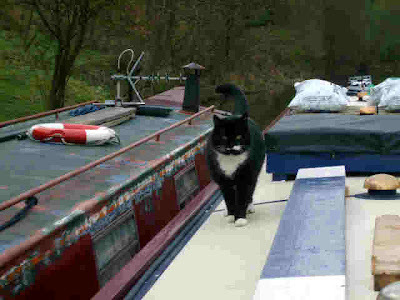 I moored Seyella up near the next lock and walked back to lend assistance if required (just being nosey, really). He made a good job, not perfect but as good as can be expected without fabricating and fitting a whole new section. Carol is well chuffed, ‘cause I also got her air horn working yesterday, so that’s 2 good jobs done. 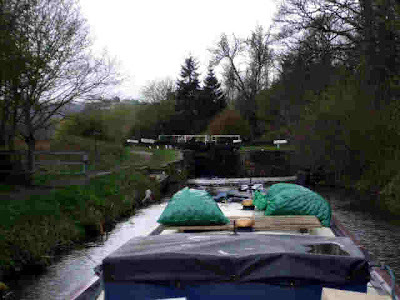 We didn’t go much further, just through Brookfoot and Cromwell Locks. 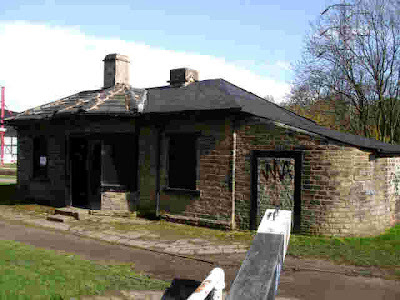 At Brookfoot there’s a sad looking lock-keepers cottage, and a derelict lock down onto the river. 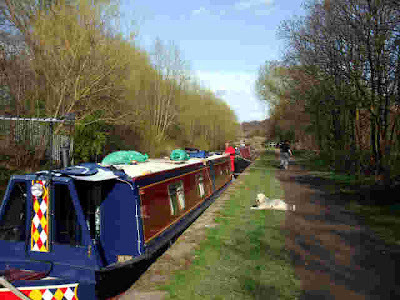 We moored at a place called Cromwell Bottom, about ½ a mile from Cromwell Lock. It’s a pleasant spot, wooded and with the river just alongside. But it’s also busy with walkers, cyclists and fishermen. It’s been a beautiful afternoon as you can see by the photographs. I hope this means spring has finally arrived…. A long but enjoyable day... and a sad loss. Well we had a bit of a mixed bag of weather over the weekend. Mostly grey and damp, though. I got in a couple of good runs, and we had some long walks. Carol and Sonja took both dogs for a walk last evening. You can see how much they enjoyed themselves by the state Meg was in when they got back! We had a fairly early start today, at least by our standards; we were under way by 09:20! It’s been an enjoyable day, long but fine and dry, with a mixture of canal and river, some built up bits and rural stretches and even some post-industrial that is being reclaimed by nature. We passed the visitor moorings at Horbury Bridge and spotted NB Alice. 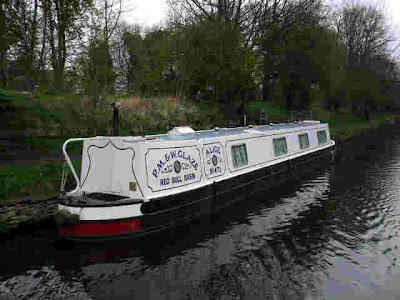 We nearly bought this boat in June 2006 when it was for sale. But the interior layout, although superbly constructed, didn’t meet our needs. 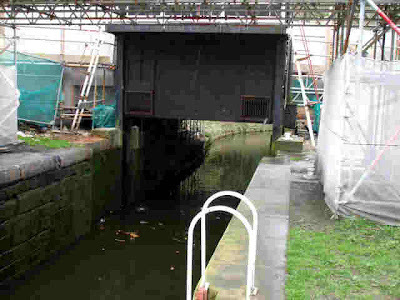 The first locks were Figure of 3 Locks, just 2 of them to go through, with the third now blocked, dropping down to the river. More evidence of the damage caused by the January flooding can be seen on the towpath. Flood Damage. 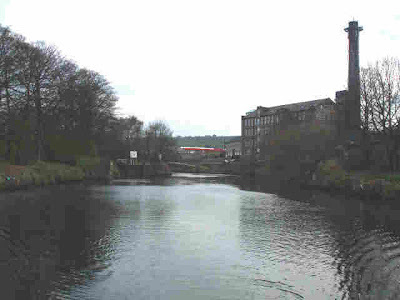 The River Calder is on the left. It overflowed into the canal at this point, washing out the towpath. 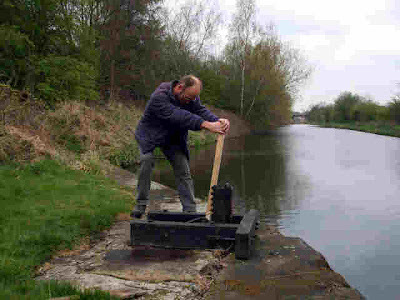 At Mill Bank Lock we had the chance to try out the Mk II Handspike. It does the job…. 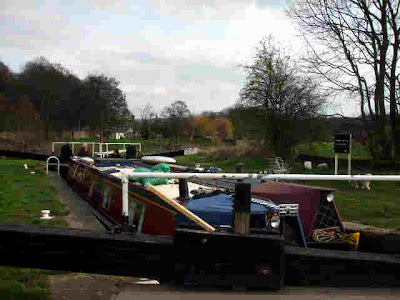 On to Thornhill Double Locks, with today’s SBDA winner on the visitor moorings below the locks. Sunken Cruiser. A bit of a hazard to navigation….. This was not the first, nor the last, casualty seen today. Thornhill Double Locks. 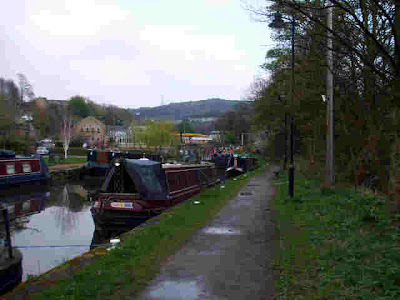 The Dewsbury Arm leads off on the right. The old Thornhill Power Station has been completely demolished, leaving large tracts of open land now being covered by birch and brambles. 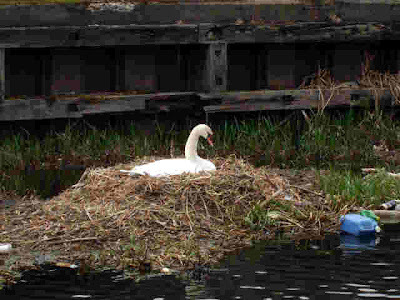 A pair of swans are taking advantage of the lack of business at the coal wharf which supplied the site. 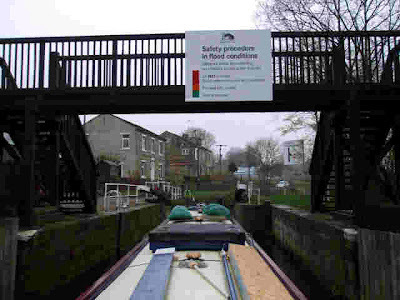 Shepley Bridge Lock gave us a bit of a problem. With the boats both in side by side, we couldn’t shut the bottom gate past Seyella’s stern. So we locked the boats up individually so we could slot the longer boat in crosswise. According to Nicholsons the maximum length is 57’6”. Even with fenders up we didn’t fit though. So maybe I should put a tape measure on Seyella and confirm she is the rated 57’…. 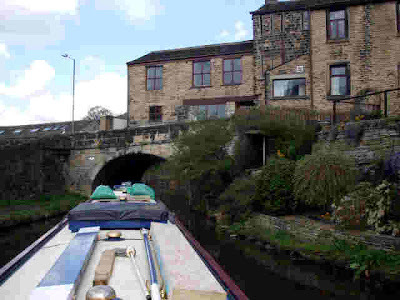 We passed Coopers Bridge Junction where the Huddersfield Canal heads off on it’s route over the pennines. 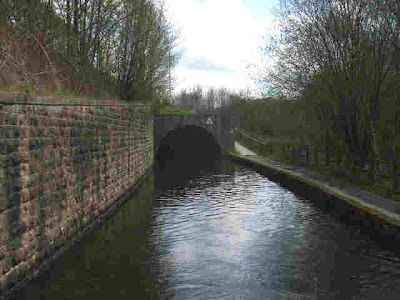 It starts off with broad locks, then goes narrow and disappears under Standedge through the 3 mile 418 yard long tunnel, before finishing up at Aston-Under-Lyne and connecting with the Ashton Canal through Manchester. Coopers Bridge Junction and Bottomley and Sons mill. 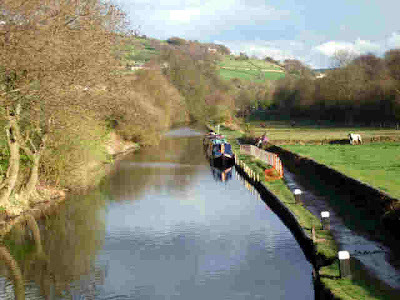 We ended the day just above Kirklees Top Lock. It’s a pleasant spot, the only downside is the constant mutter of traffic from the M62 which crosses over the canal a little way ahead. I'm afraid we lost Donald the plastic duck today. After several months of being perched on the bow fender since being rescued from a lock on the T&M he was getting a little fragile. Alas, a stream of water from a leaky top gate saw his demise. RIP, Donald. Old acquaintances and new families.